There’s nothing a juice can’t fix. Whether your energy levels are hitting non-existent, your skin feels dryer than the previous season of the Bachie, or you’ve just polished off an entire packet of doughnuts, just chug a carrot and ginger juice and you’ll feel fresher than Will Smith circa 1998. 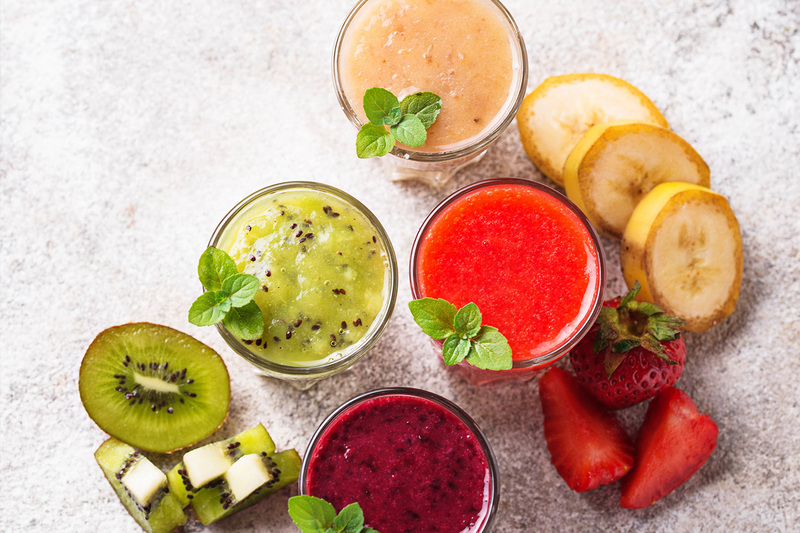 If you’re looking for Brisbane’s best juices and smoothies, read on. You can’t go past this Brissie classic when it comes to the freshest drinks around. Nestled right in Queen Street Mall, Oasis is an oasis in the desert of dehydration, serving an extensive list of juices and smoothies (24, to be exact) made before your eyes. James Street’s resident smoothie stop is renowned for high quality drinks, and trust us – they don’t disappoint. If you’re over the steamy Brisbane weather, get whisked away to the shores of the Caribbean with their popular coco mango with coconut sorbet. The folks at Kiss The Berry don’t just make a mean acai bowl, but also whip up some seriously good smoothies. Drink your way through a menu of everything from original acai with banana and strawberries to the choc mousse with acai, banana, avo, raw cacao, and macadamia pea protein. When the saints go marching in to Saint & Co, they’ll most likely be ordering their fresh mango and banana smoothies, or a freshly-made juice to go. Embrace your inner health queen at The Fat Carrot (no seriously, she needs a hug). With a delicious range of fresh juices including the fresh sugarcane juice with passionfruit, there’s a drink with your name on it. Every Wednesday from 8am to 6pm is your chance to get down to the Queen Street Markets for one of Cesar’s ridiculously refreshing juices and smoothies. If you didn’t have enough fruit in your juice, they’re also topped with a slice of watermelon, a strawberry, and an orange slice. We’re all about smoothies, but there’s nothing more disappointing than a smoothie that just tastes like straight up syrup; which is why Corner Store Café is such a breath of fresh air. We can’t recommend their banana smoothies enough, packed with all-natural ingredients including banana, honey, and cinnamon. P.S, Fresh juice is great for a hangover. Just saying. - the gourmand who could live on a juice diet… but won’t.